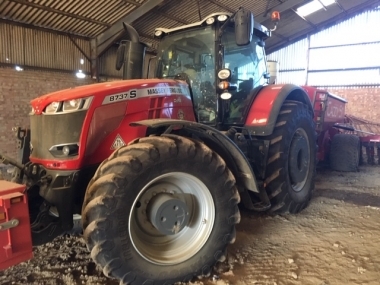 Massey Ferguson 8400 model range of tractors launched in 2005 with the Dyna-VT constantly variable transmission was the flagship Massey Ferguson tractor. 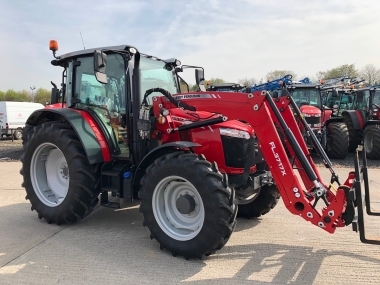 Providing powerful yet compact high hp tractors the MF8400 range of tractors with the reliable SISU diesel 7.4 or 8.4 litre intercooled turbo diesel engine proved versitile for a wide range of applications. 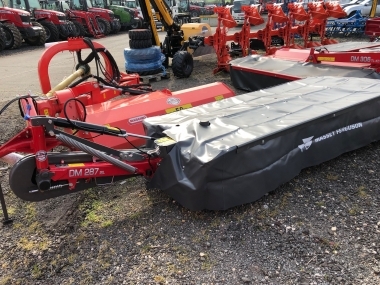 Supplied with the 'Manager 5' Massey Ferguson extended warranty scheme of up to 5 years and 6,000hrs the package was very cost effective. 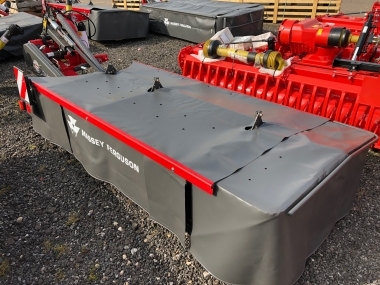 Find out about the MF8400 model range specification below. 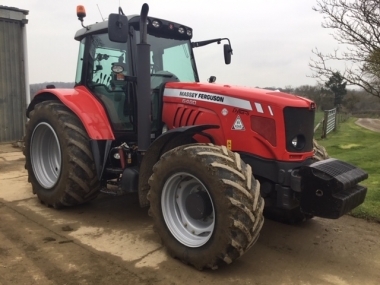 The Massey Ferguson 8400 series tractor range, available in 2005 - replacing the outgoing powershift MF8200 series of Massey Ferguson tractors - was a major improvement over the old range in every way. Power was up from the MF8270 to the new top of the range MF8480 with 315hp at peak power, transmission was improved dramatically with the Dyna-VT constantly variable transmission fitted as standard, driver comfort was in a different league with the tractor as standard fitted with the industry leading 72dbA quiet, dual stage pneumatically suspended cab, climate control and deluxe Grammer air suspended seat. 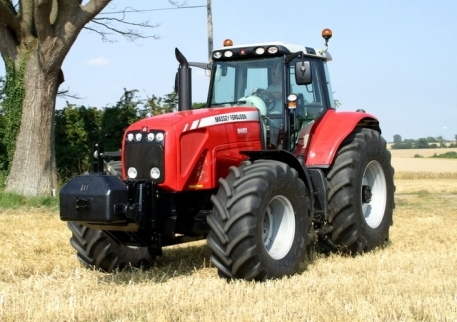 Front axle suspension allowed the addtion of 50kph road transport speeds, and the tractor featured for the first time in a Massey Ferguson, Autoguide self steering, for precision agriculture, maximising output with the largest of trailed implements, achieving inch perfect overlaps and benefiting from the DATA3 full colour ISOBUS terminal that was common to the MF6400 and MF7400 ranges of tractors. 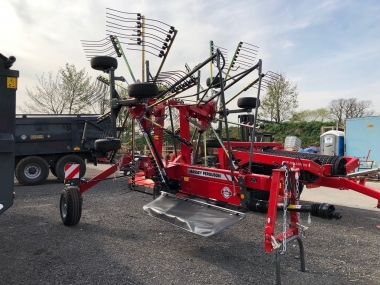 With electronic spools commonly fitted, the DATA3 screen can simply be programed with fully automated headland management sequences, including the integration of engagement of the autoguide self steering system, which was also controlled through the ISOBUS ready terminal. 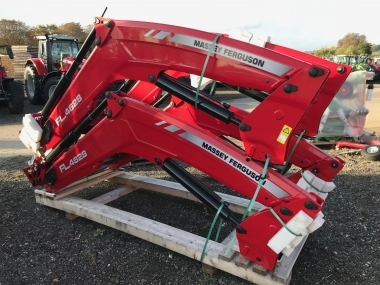 The MF8400 series tractors although extremely simple to operate with the typical Massey Ferguson arrangement of left hand Power control shuttle for forward and reverse, the driver could choose to operate the tractor in a number of different transmission modes, which were each ideally suited to different types of work. Known as either 'lever mode' where the engine revs were set as normal on either the hand or foot throttle, and the transmission ratio is controlled on the right hand armrest lever, or 'pedal mode' where both the transmission and engine revs are controlled by the foot throttle pedal (much like the operation of an automatic car - except the transmission is completely smooth without any steps in the progression), the driver could swap between these modes as they went along. 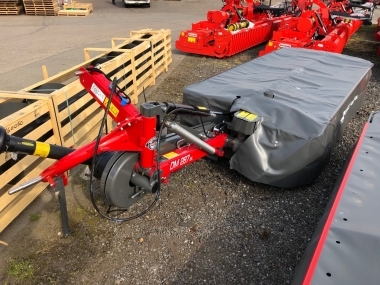 The third mode - designed specifically for applications that require a constant pto speed - known as 'forager mode' allowed the foot 'throttle' pedal to control the transmission ratio while the engine revs were set separately by the hand throttle. This mode is also very good for both round and square baling. 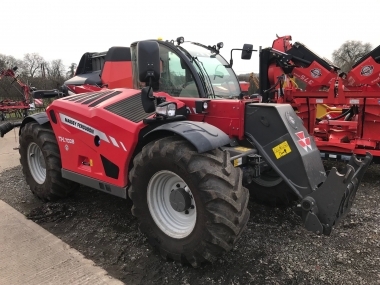 The Massey Ferguson 8400 series won the coveted Tractor of the Year award when they were launched and today make an excellent second hand tractor prospect. buy every original 8400 - Range part online.